C/Board Corrugated Fluoro 8Sht. A4 Size 210 x 297mm. 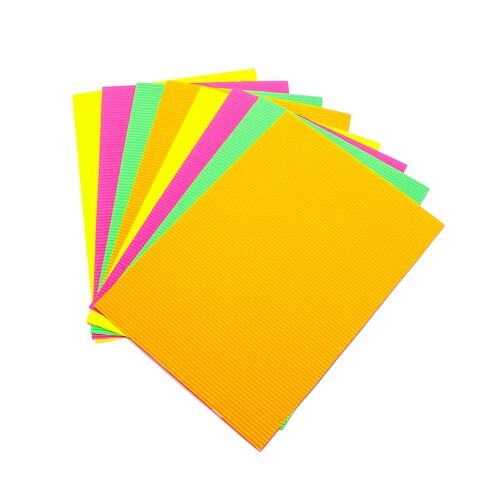 4 Colours per Pack (2 of each): Yellow | Green | Pink | Orange. Paper. 180G Packaging: OPP Bag with Colour Insert.